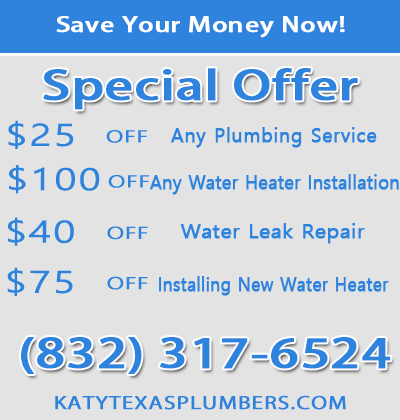 Plumber Katy, Harris and Fort Bend County, assists you with drain cleaning when your drainage system has failed and become a major headache. Most of the issues we hear the most from homeowners are leakages and blockages. We also do installation of pipes and faucets to stop leaks. We are a safe choice for many homeowners because we have the skills, experience and the passion to help customers. It doesn’t take much to have a drain pipe blocking. If your children stuff hard toys in your toilet, you could have a tough enough time trying to clear it. One of the first things you acquired upon becoming a homeowner is a plunger. However, this tool is not always effective. But our plumbers have longer and more specialized tools such as the plumbing snake that they can use successfully for drain cleaning. A clogged drain can be a hardship irrespective of what part of your drainage system it happens to be in. Should you have this problem in your bathroom sinks due to hair and soap clogging the drainage, we can clear it easily. Sometimes all you need is baking and vinegar, but other times a better and more effective method may be required. This is where our skills for drain cleaning come in. Draining a sink or a pipeline takes skills, experience and the right equipment. Our Katy plumbers have all these three qualities at the bare minimum and will use them to help you keep your drainage system flowing properly. We have other more powerful equipment like the power-operated drain snake to unclog drain. With long and bendable metal equipped with teeth at the tip, this tool can cut blockages easily. Powered by a motor, this equipment is fed into the main home’s cleanout and turns when the foot pedal is pressed. There is no drain cleaning job that is too tough for us; we are well-equipped to handle any challenge. If you have a blocked drain we will be glad to help you. 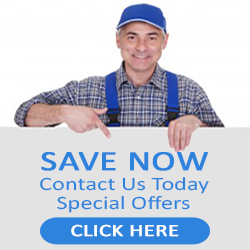 We provide around-the-clock service that takes care of your drainage problems when you have them. If you need services, regardless of what time it is, we will provide you with the service. We are open for emergency drain cleaning calls even late at night.